This book is designed for people who want to start to love themselves again â€“ and having more time, more energy, a better body; and more fresh food in the diet is the best way to start doing so. 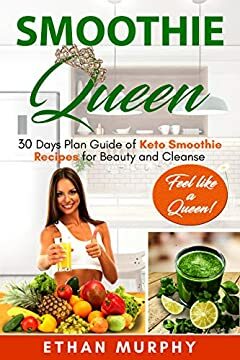 All the Smoothie Queen Keto Recipes are designed to make you feel great â€“ once youâ€™ve started to include smoothies in your diet regularly, youâ€™ll wonder how you ever survived without them. So, scroll up, click the "Buy" button now, and enjoy healthy keto smoothies with Smoothie Queen!